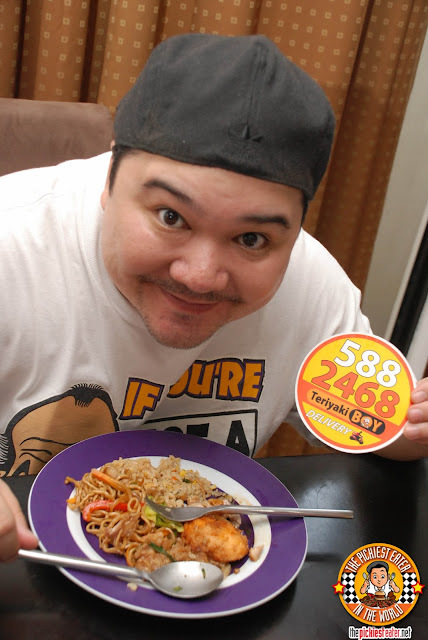 THE PICKIEST EATER IN THE WORLD: TERIYAKI BOY DELIVERY! 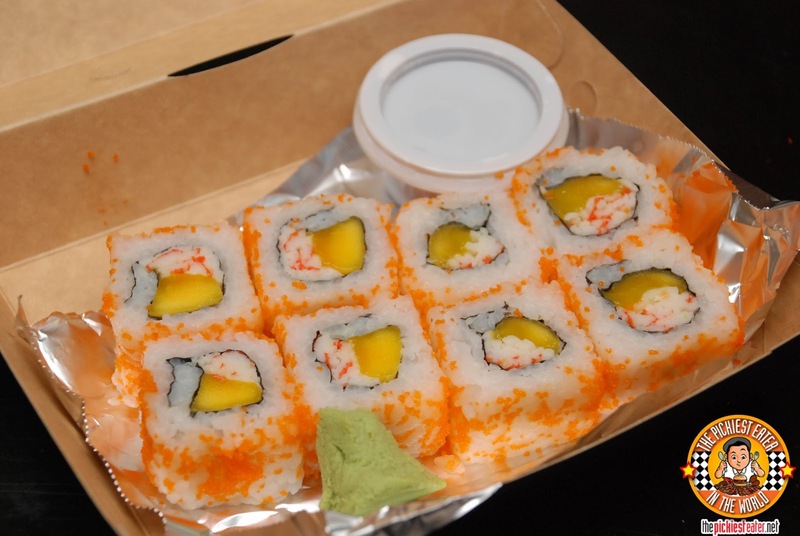 Reviving my series on Delivery Services in Metro Manila.. Hope you enjoy! Being a food blogger for nearly three years, people are often surprised to hear that neither Rina nor I know how to cook. Basically, all we really know how to do is eat. It's actually how I fell in love with her. I finally met a woman who can match my appetite. Anyway, during the weekends, if we don't go out to eat we're usually stuck at home with canned goods or something processed. But when we're really lazy (which is pretty much every weekend), we order food delivery. I went online and found out that Teriyaki Boy now delivers! I hadn't been to Teriyaki Boy in YEARS, so I figured this was a good time to revisit their Japanese food. I've often said that I'm not a huge fan of Japanese food, and this is quite true. However, with Teriyaki Boy, there seemed to be a Western Touch to it that makes it extra friendly to my taste buds (I don't eat sushi, but a "Philly Cheesesteak Sushi Roll" does sound really good to me!). We ordered a little early, targeting around 6:30pm for delivery, and I was quite impressed that it was delivered way before that. Which was good because I underestimated what time I would get hungry (I now know that the answer is "Always o'clock"). This was actually quite perfect because my father in law just arrived a few minutes before, so we were able to invite him for an early Father's Day dinner. 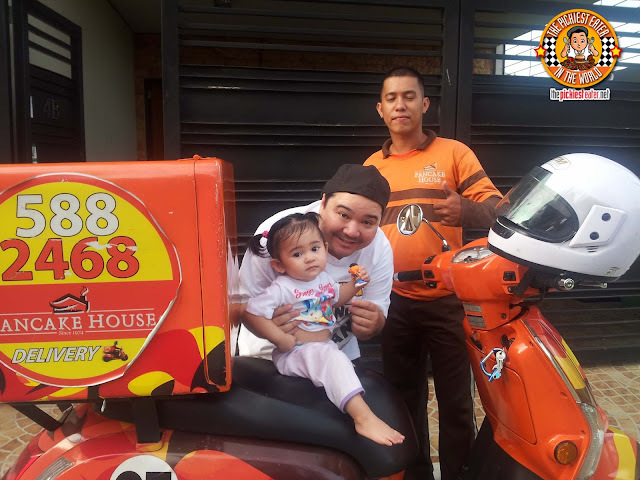 Our order was delivered to us by a very courteous driver, that was super aliw with Baby Rain, and even allowed us to take pix in his motorcycle hehe (Kids, do NOT try this at home). 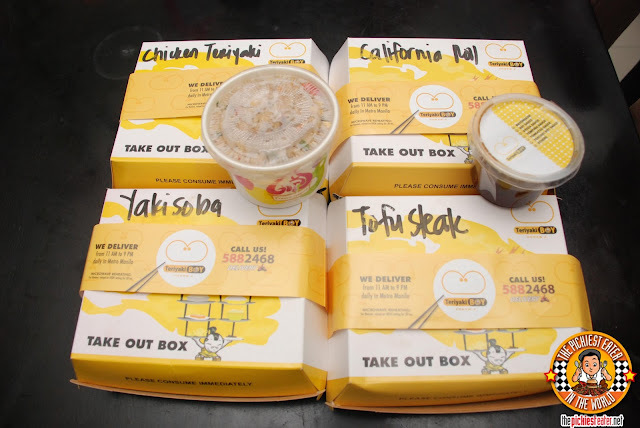 Clearly going all out on their delivery services, the food was delivered in Teriyaki Boy designed take-out Boxes (Not styrofoam, thank goodness). I was happy that the food, when delivered to us, was actually still quite hot. 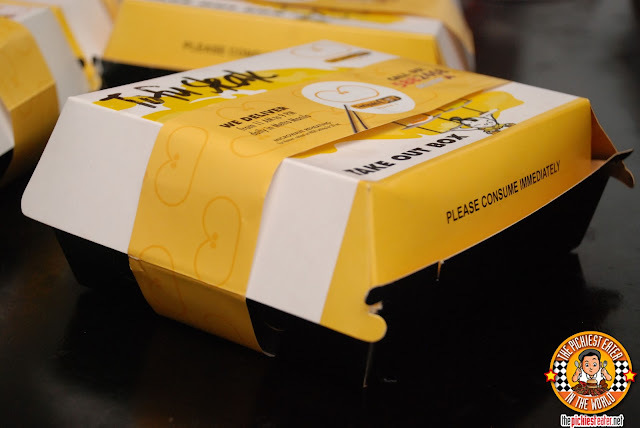 The boxes were secured by a "wrap", that helped ensure that the boxes won't open in transit, spilling your Teriyaki Chicken out all over the bag or something. I get nightmares just thinking about it (I woke up in the middle of the night in a sweat and yelled out "My Chicken Teriyaki!!!". Rina calmed me down and said, Don't worry, your Chicken Teriyaki is safe...it has that paper thing too hold it together, remember? Then I slept safe and soundly). Rina loves California Maki, so I knew she wouldn't have forgiven me if I didn't order her the California roll (P139), which she and her father devoured within minutes of opening the box. This might shock you all, but I'm not totally adverse to Tofu. Off the top of my head, I can think of two tofu dishes that I actually really like- nay- LOVE. 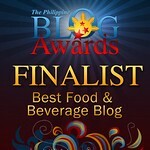 One of them is Teriyaki Boy's Tofu Steak (P170). This actually belongs on my "One of the Best things Ever" list. 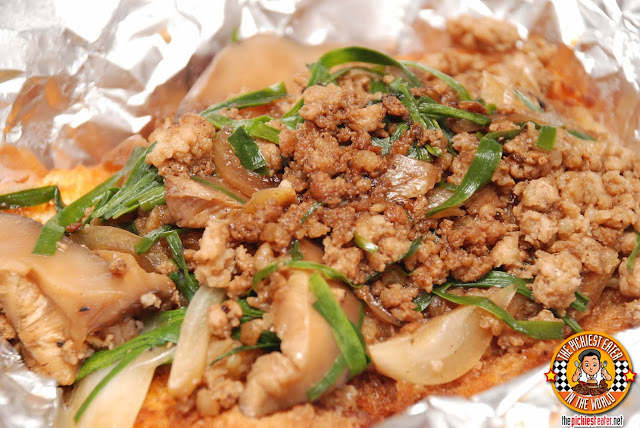 A beautifully breaded tofu steak, deep fried to a golden brown hue, topped off with ground pork, onions, green onions and shitake mushrooms. I'm telling you this now, if you haven't tried it yet, you MUST. Remember.. This is ME. Telling YOU how good a TOFU DISH is. I remember enjoying Teriyaki Boy's Yakisoba (P160) the last time I was there, so I didn't hesitate to order it again. It was still delicious, but I don't recall there being bonito flakes the previous time I ordered it. 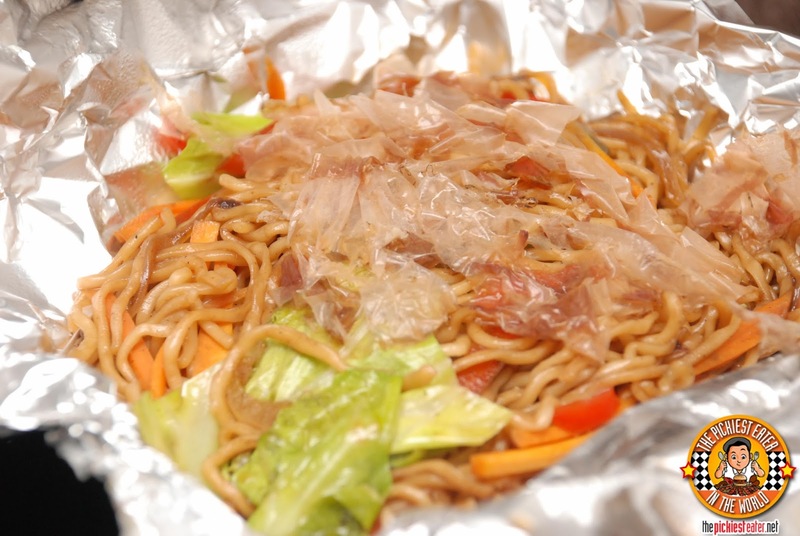 Although when mixed into the pancit, it added a new, smokey-salty dimension to its flavor. Let's face it, when Teriyaki Boy burst into the scene nearly a decade or so ago, it was all about the Chicken Teriyaki. So how could my revisit to Teriyaki be complete (even via delivery) without ordering it once again? I definitely was not disappointed. The chicken was grilled perfectly, leaving just enough char marks on the edges of the skin to allow a light crunch with your bite. 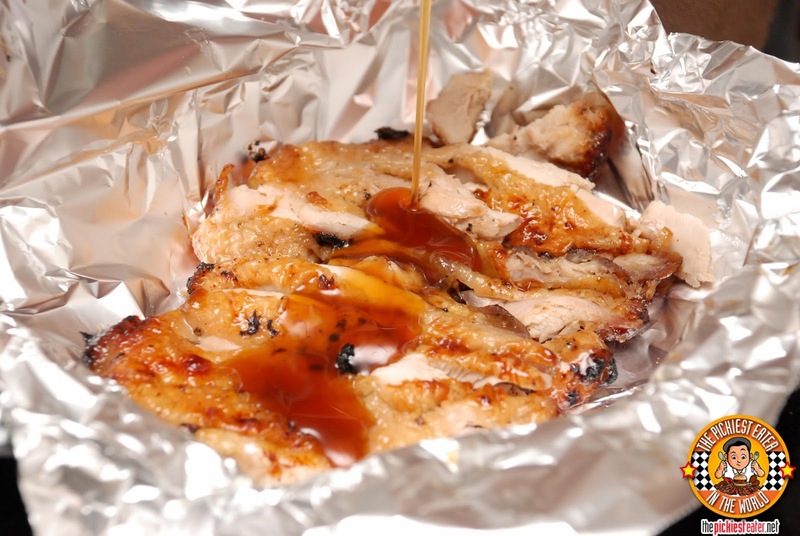 And just to make sure your chicken doesn't get soggy during the travel time, the Teriyaki sauce is placed in a separate container, for you to pour on yourself. It was delicious, with its lightly sweet tones that blended perfectly with the meat of the chicken. I'm a fried rice guy, through and through. Some people (Rina) like plain rice with their meals because they worry that the "flavors will clash".. pssshh.. no way, man. 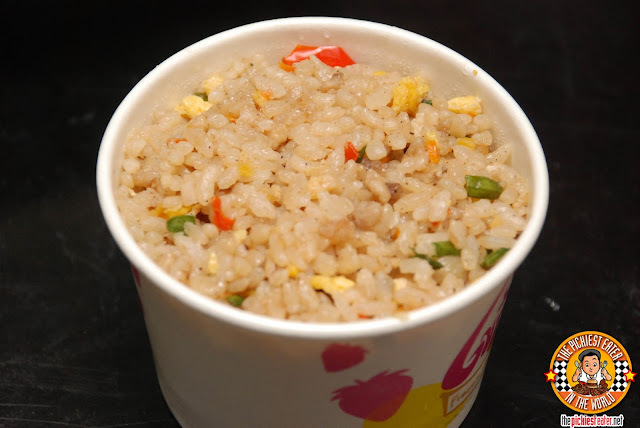 If there's fried rice available and you can afford it, go for it. 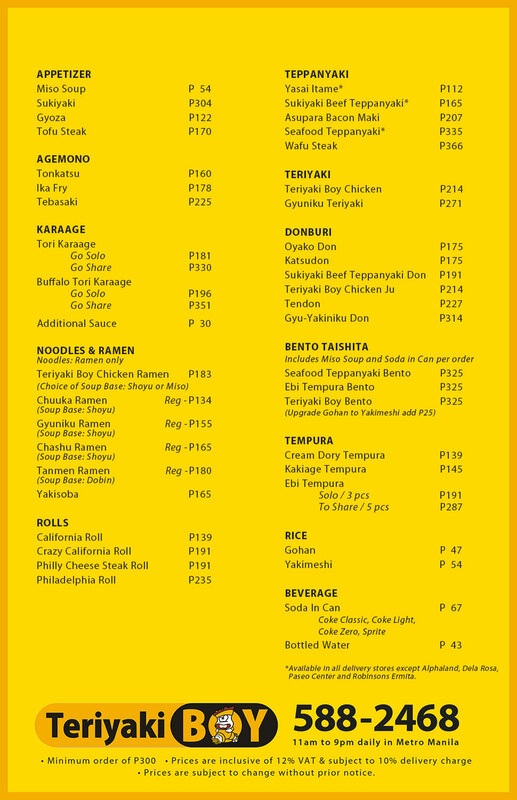 That was my theory when ordering Teriyaki Boy's Yakimeshi Rice (P54). Good size for a single order, but definitely not enough for sharing, especially if that person you're sharing with happens to be me. 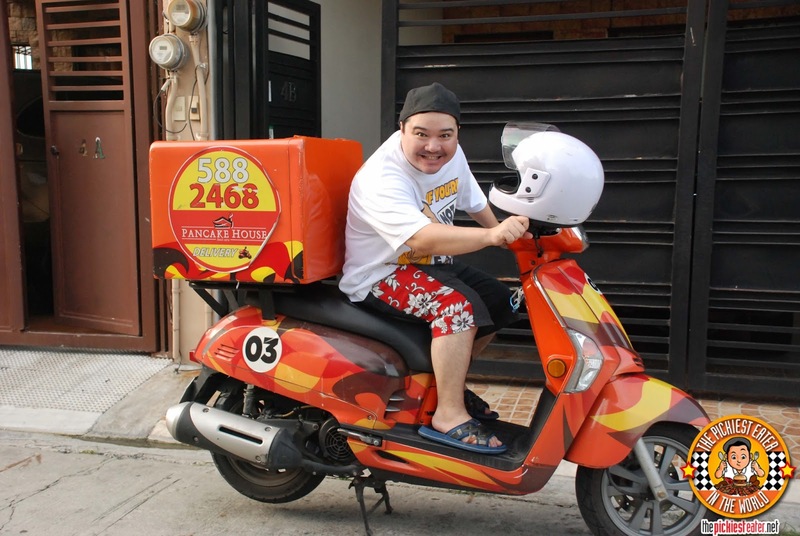 I was actually pretty surprised to find my food arrive on a Pancake House delivery Motorcycle, until I remembered Teriyaki Boy is a member of the Pancake House Group of Companies. Since their delivery service is relatively new, I'm guessing they haven't had time to roll out their merchandising materials just yet. I believe that they will soon, because if the quality of service that day was any indication, Teriyaki Boy's hotline number (588-2468) will be on everyone's speed dial very soon! How good was it? 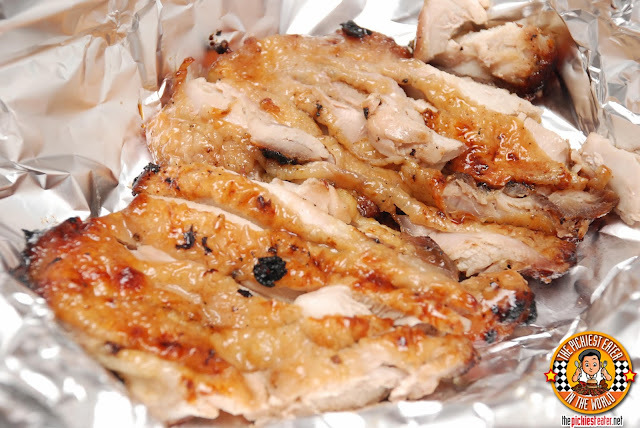 It was so good, that Rina's dad, who joined us for dinner that night, came over the next day, and ordered Teriyaki Boy once again for a simple Father's Day celebration! The service was a little bit later this time (Maybe by around 15 minutes), but that could have been due to us ordering during peak hours, and it being a holiday, so we cut them a little slack. Truthfully though, I wouldn't hesitate ordering from Teriyaki Boy Delivery again tonight! Calling them now. Haha. Thanks for this post!